You may be wondering why we need a poorly written web application – in this case, it helps to demo several of the protection features in AppFW as well as being a safe sandbox for trying out web exploits. We’ll be using the OWASP Web Goat server for this – I like this tool because it includes guidance on how to perform several of the exploits if you are not familiar with them. 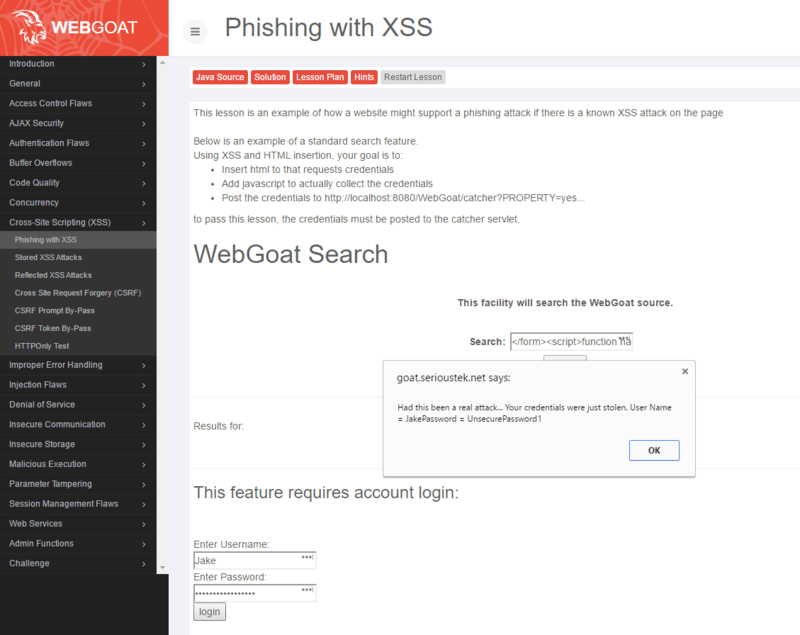 I am going to go through a few of the very simple and easy to demonstrate exercises with Web Goat but be aware that there are several more and should all work with the App Firewall. 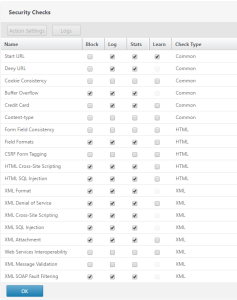 First we need to setup Web Goat – the simplest way (easy run instructions) to get this going is to run it in JVM, so go download at least JDK version 1.7 from Oracle. Once installed, you will need to download the easy run executable jar file from here – put it somewhere easy to remember. At this point, the web server should be running at the following address http://localhost:8080/WebGoat – be sure to check your firewall if you are not able to access the page externally. Once on the page, you can login with guest\guest to get started. 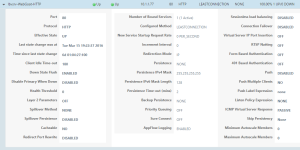 Create a server and service for the Web Goat server on the NetScaler – as this is just for demo\testing purposes, the TCP-default monitor is fine. 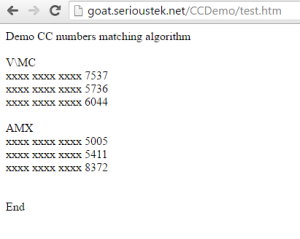 Don’t forget that Web Goat is running on port 8080. 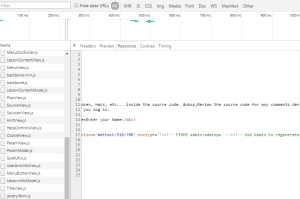 Then we need to create an HTTP load balancing vServer for Web Goat – we’ll be translating port 80 to 8080, so no need to remember the ‘:8080’ each time. 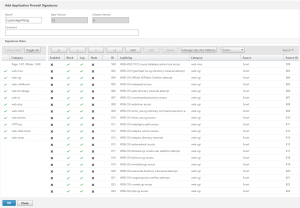 I’m not going to cover basic NetScaler configuration, but you don’t really need much to demo this stuff. 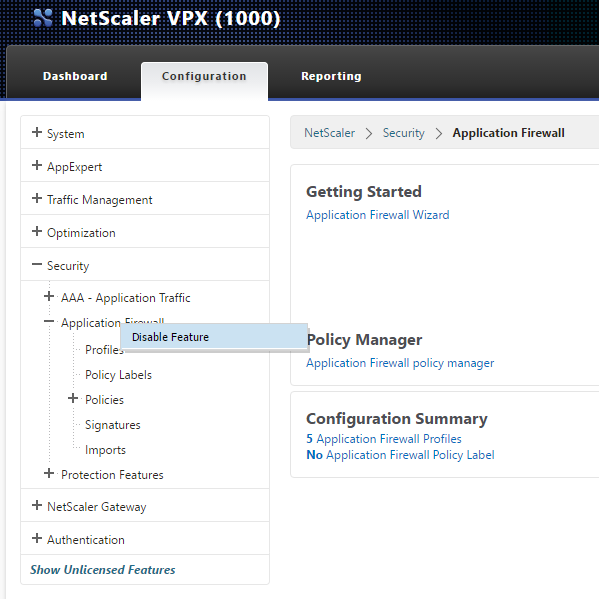 If you have not already, enable the Application Firewall feature on the NetScaler. 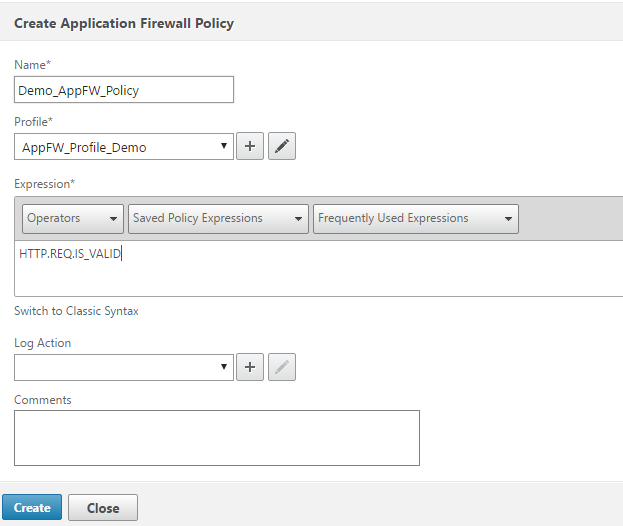 Next, we are going to create a copy of the Default Signatures – App Firewall uses both a positive and a negative security model – this is the ‘negative’ or ‘blacklist’ model. Under Security > Application Firewall > Signatures : highlight *Default Signatures and select ‘Add’ – give the new signatures a name, leave the defaults set, and save. Now, manually update the signatures using the Update Version button. 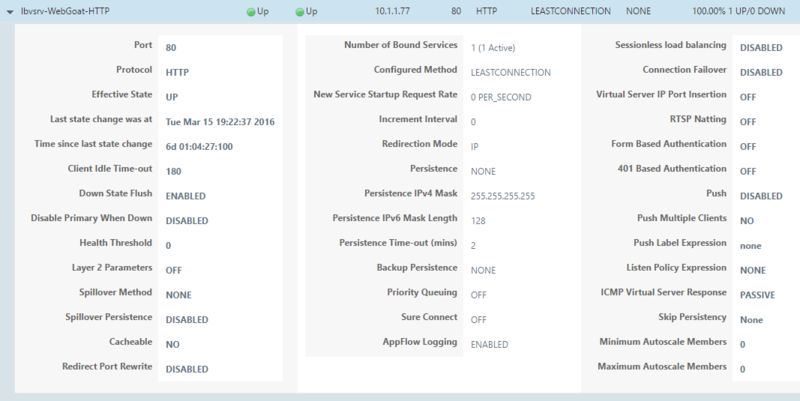 *Note: The NetScaler must have internet access and have DNS configured for the update to work. 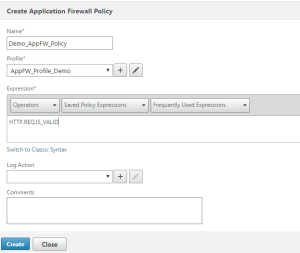 Next, create a new Application Firewall Profile by going to Security > Application Firewall > Profiles – then select Add. 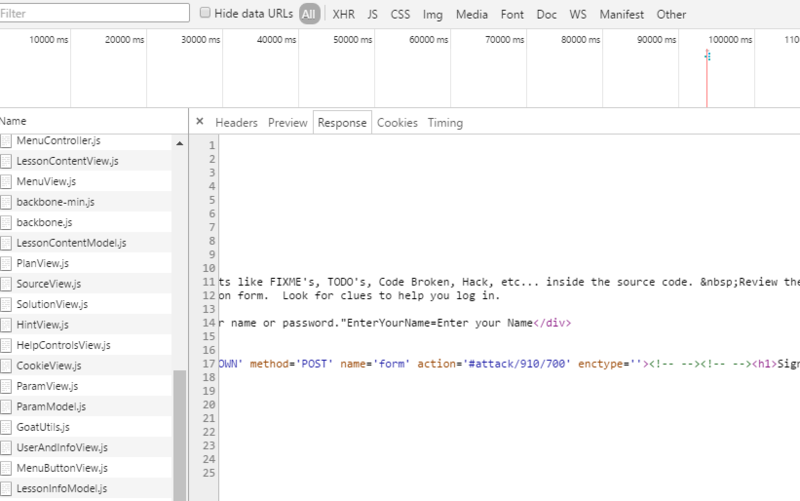 Give the profile a name, then select Web 2.0 Application and leave defaults set to Basic. Once created, highlight the newly added Profile and select Edit – then choose Profile Settings – in the ‘Bound Signatures’ field, select the previously created Signature set, then select OK. Set Strip HTML Comments to All. 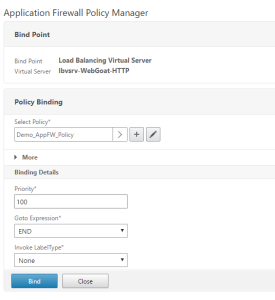 To bind the policy, we will use the Policy Manager by choosing a bind point of ‘Load Balancing Virtual Server’ and selecting the previously created virtual server – select the policy that was created and leave all Binding Details at default settings. 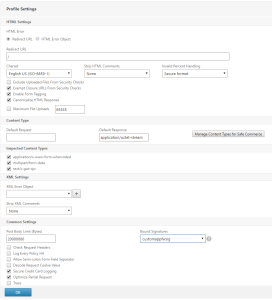 The last step is to Disable the Application Firewall feature – why you ask? Well, part of the demo is showing what happens when we use malicious code to break in to our vulnerable website, so for now we are going to disable App Firewall so that we can show what these site attacks look like. 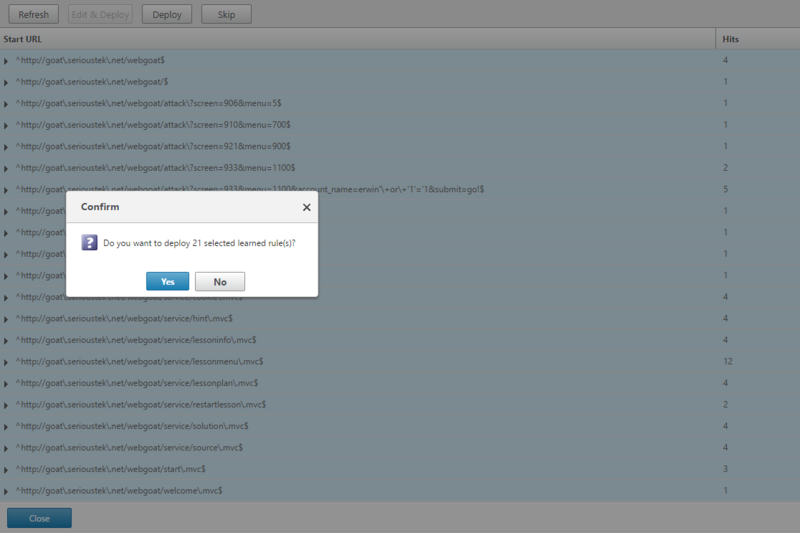 *Note: we will be disabling\enabling AppFW between the different attacks, so get used to doing it. 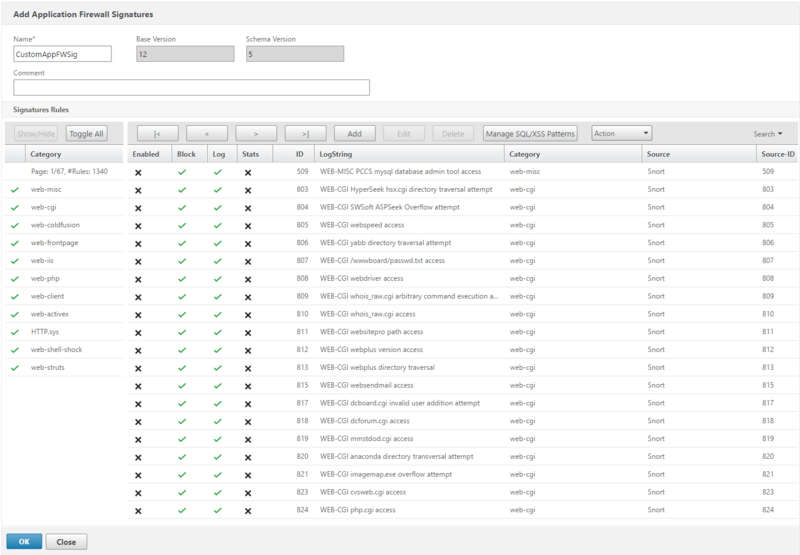 The easiest way is to simply disable the feature directly from the navigation column as shown below. *Note: the above credit card numbers are not real – more on that later. 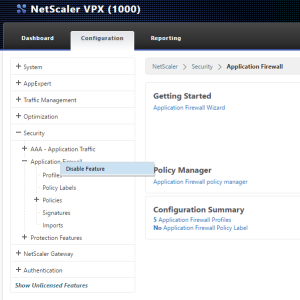 Now, restart the lesson, enable App Firewall on the NetScaler and try again. Web Goat will not receive any response and thus not display any results. 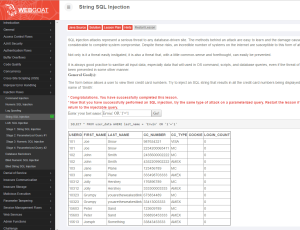 You have successfully blocked a SQL Injection attack using NetScaler Application Firewall! If successful, clicking the Search button will create a logon form below the search box, convincing the unsuspecting user to enter his\her credentials. 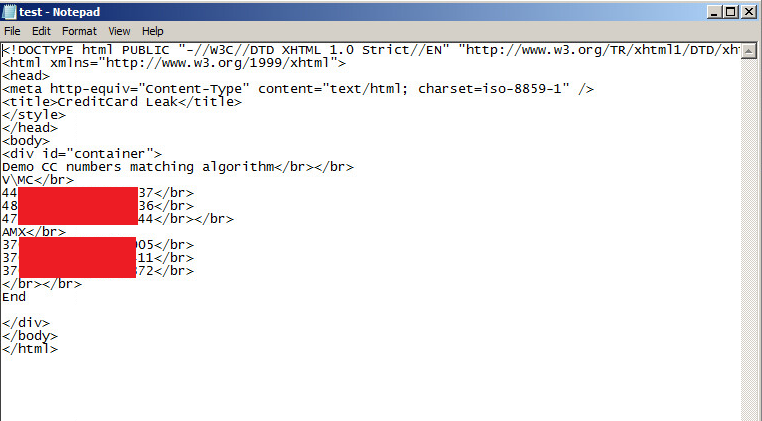 Next, enable Application Firewall and try again – the cross site script will be blocked. 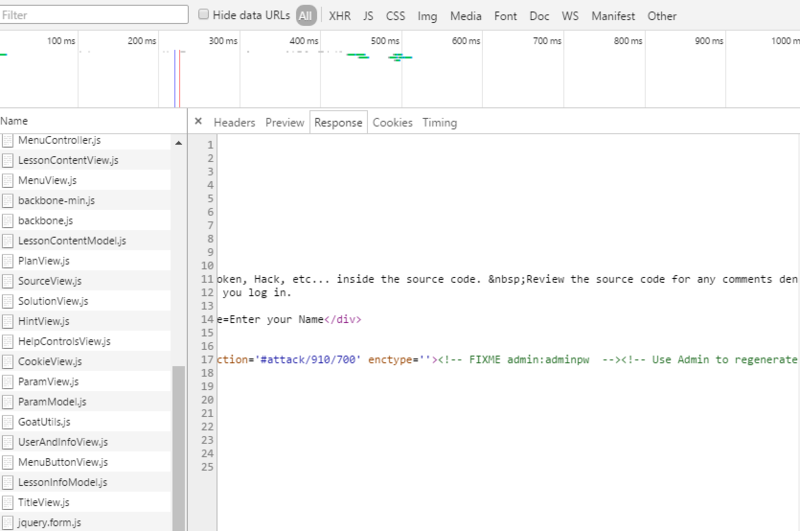 Here you can see that the admin left his\her credentials in the HTML comments! admin\adminpw. Turn on AppFirewall to strip them out. The idea behind the Start URL is that the App Firewall can create a path of pages based on links and forms in the code – if you arrive at (or try to get to) a page without following this path, you will be blocked. This can be very tricky to demo, so be sure to play with all of the settings and rule sets. 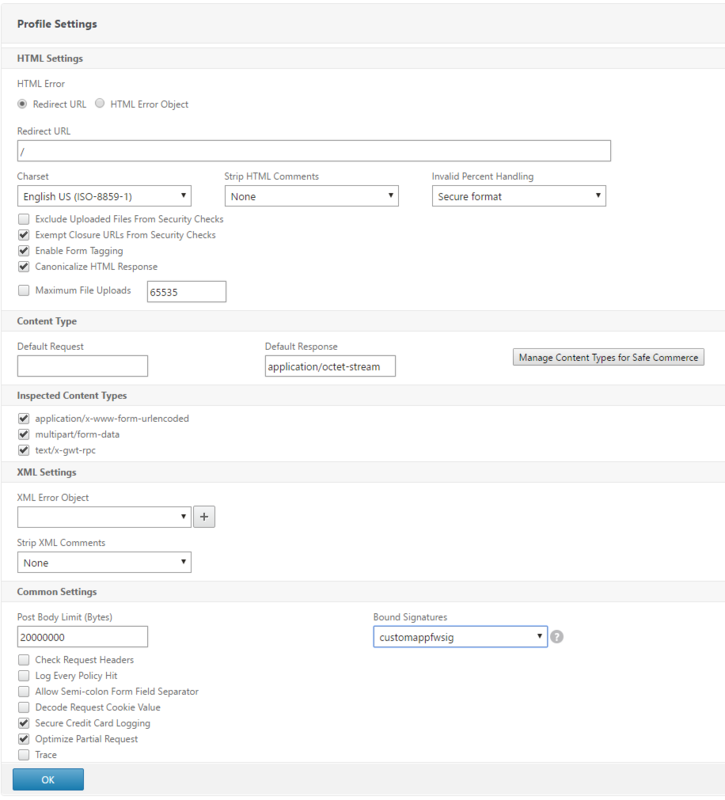 We need to turn on Start URL blocking in the AppFW Profile – to do this go to Security > Application Firewall > Profiles – select the active profile, then choose Edit – Security Checks. Set the Start URL to Block then OK. 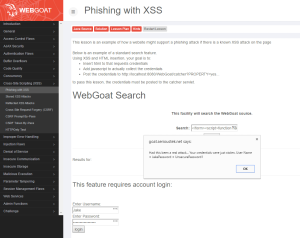 Turn on App Firewall and try to browse to Web Goat – you should be blocked (go nowhere). If you have a redirect URL in the Profile Settings, you will be redirected (the screen shot shows a simple redirect page). To allow this to work, we need to add all of the learned rules to the profile. To do this, go back to the AppFW Profile and select Learned Rules > Start URL > Start URL > Edit. 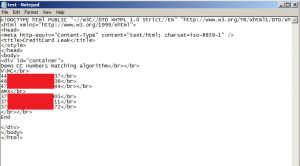 Here you will see all of the potential URLs that need to be added as rules. 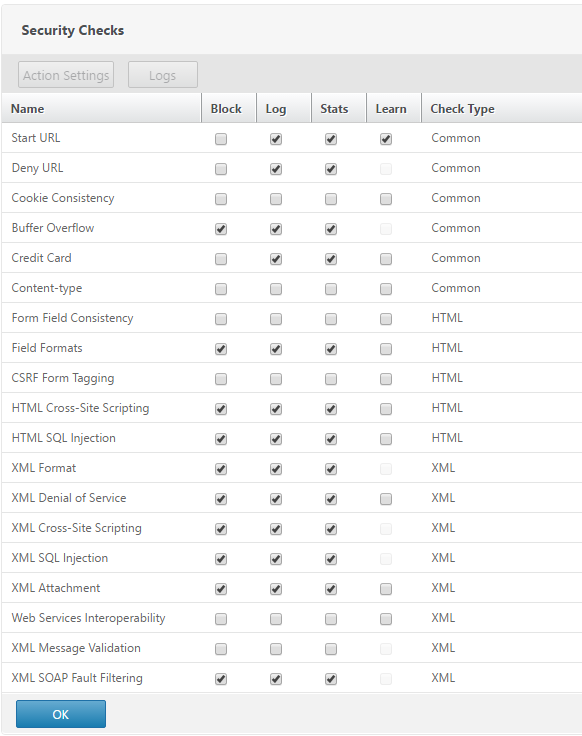 Select all of them and choose Deploy. 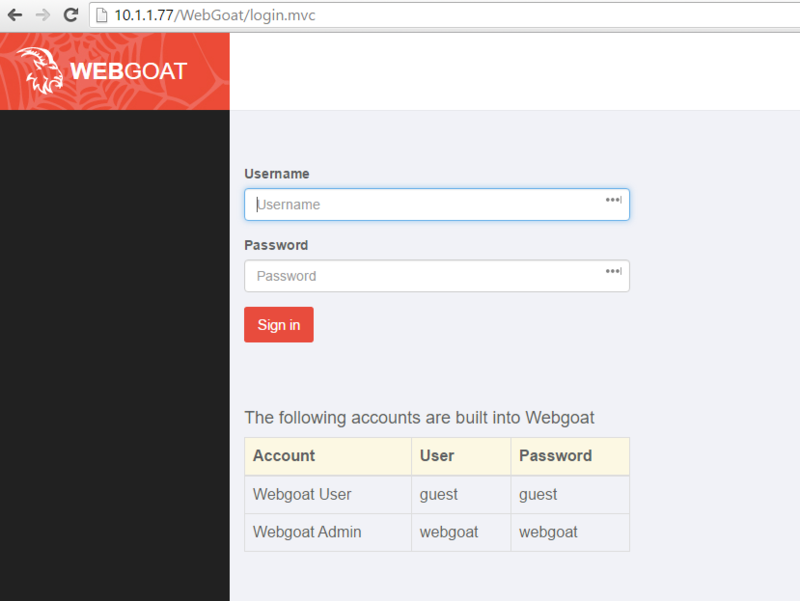 Now, when you browse to Web Goat, you will return to the login screen as expected. *Note: newer versions of WebGoat use dynamic pages so the Start URL functionality may not work 100% as expected by default. 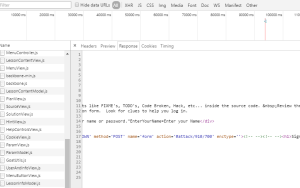 There is not a demo in Web Goat for this functionality – if you want to see it for yourself, you will need to configure a basic web site and use actual credit card numbers. 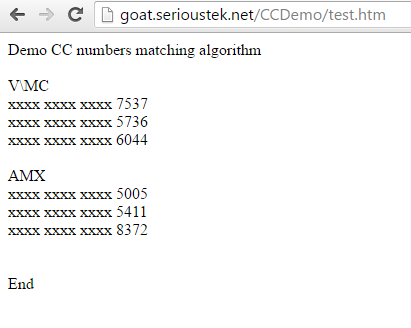 The numbers used by Web Goat are not legitimate card numbers – real card numbers are generated using an algorithm – and the AppFW knows that algorithm. To see the options for credit cards, go to the App Firewall profile > Security Checks > Credit Card > Action Settings. From here, you can select which cards will be protected as well as if they will be X’d out or blocked all together.